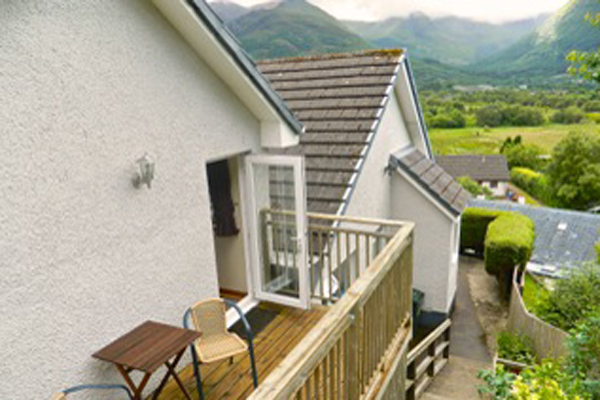 Lochaber is a wild, beautiful, remote region in the heart of the West Highlands of Scotland. 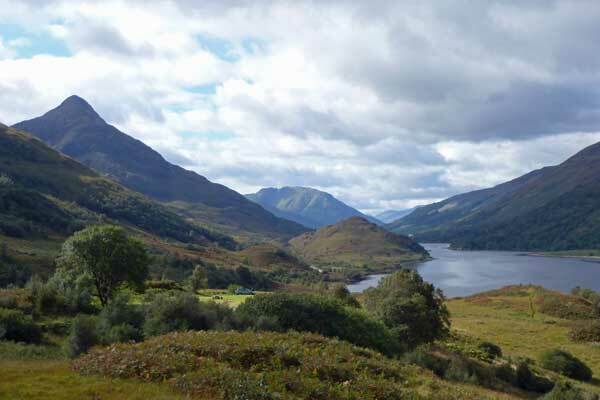 Lochaber has some of the most spectacular scenery in the West Highlands characterized by ancient mountains and volcanoes, wooded glens, freshwater and sea lochs, and an extensive coastline of rocky shore and sandy beaches. 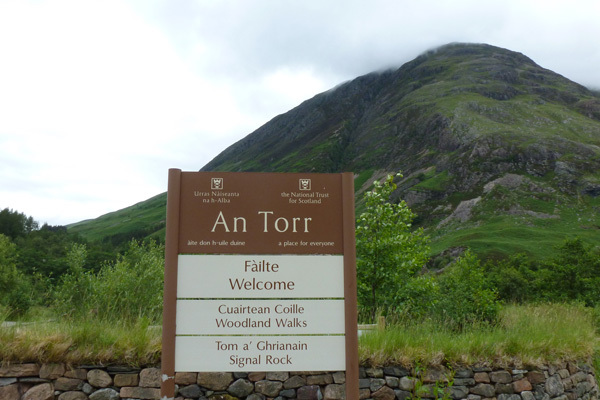 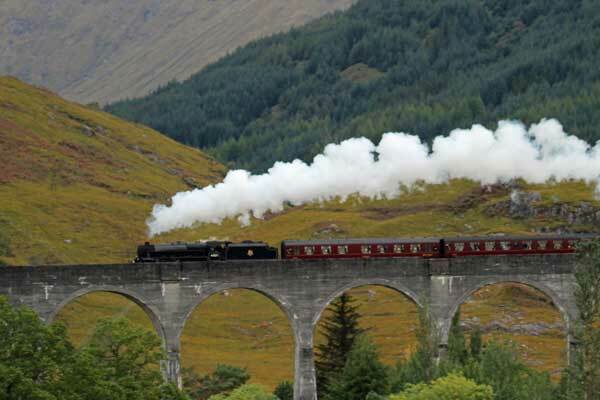 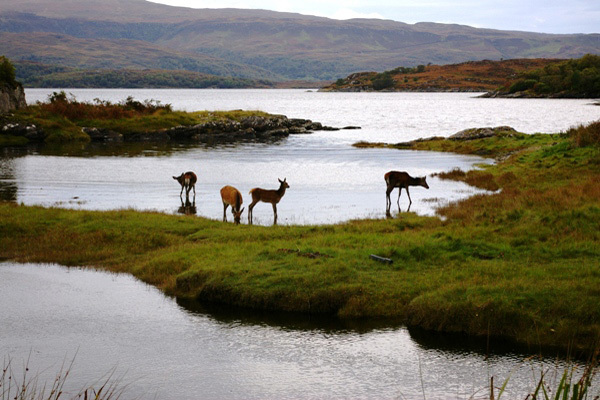 Lochaber offers some of the best places for walking, wildlife and adventure in the UK. 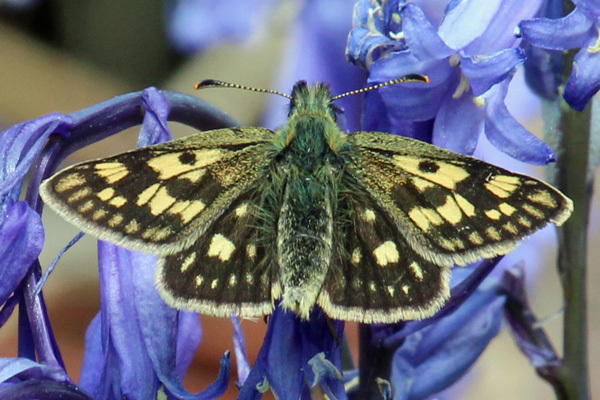 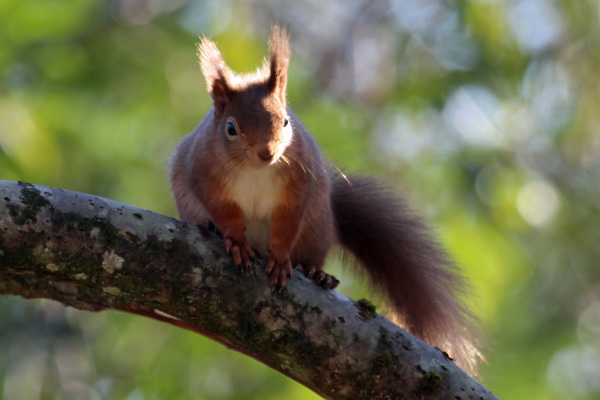 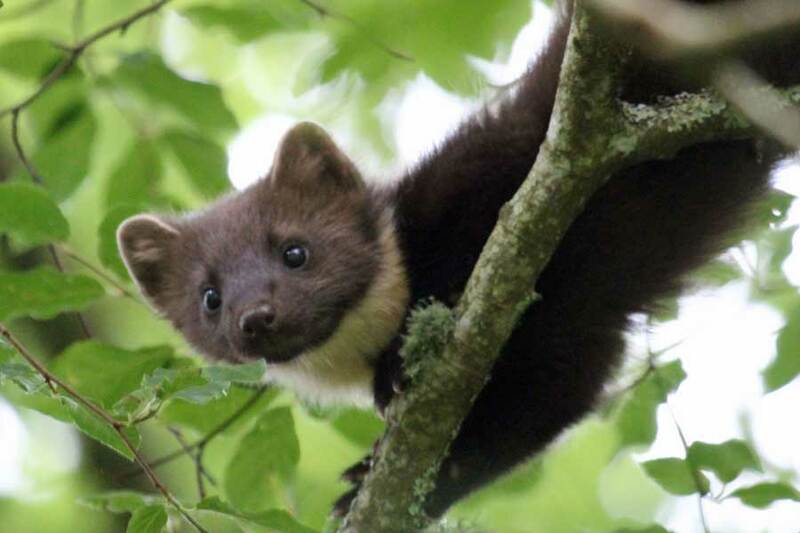 Lochaber is renowned for its wildlife, including white-tailed and golden eagle, pine marten, red squirrel, otter and wild cat, as well as a rich cetacean fauna in the surrounding waters. 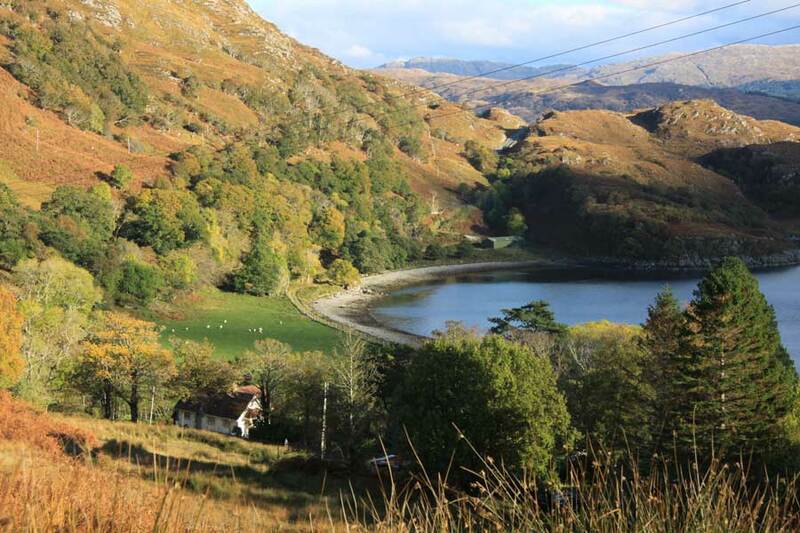 The walking landscape is interesting and diverse, with walks to suit all tastes and fitness levels. 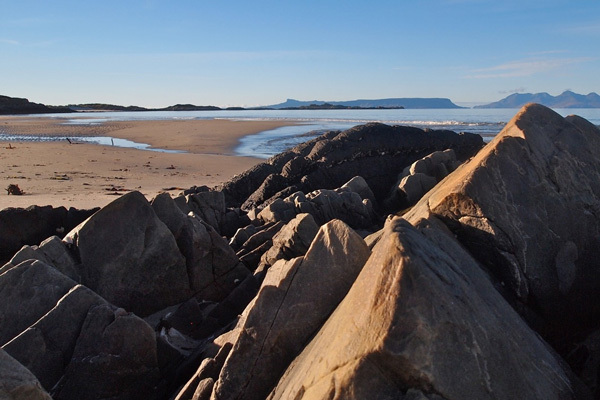 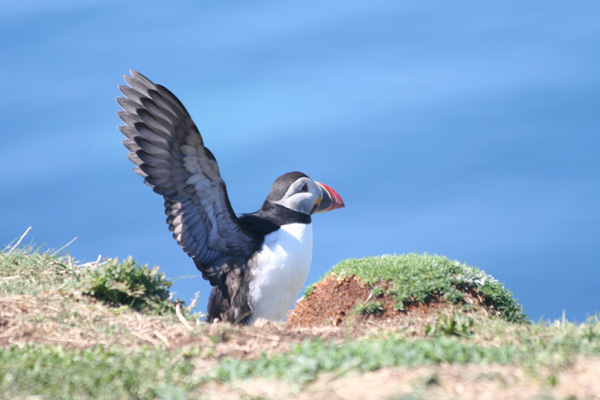 The region also provides a wonderful opportunity to experience a unique range of outdoor pursuits on foot, bike, river and sea. 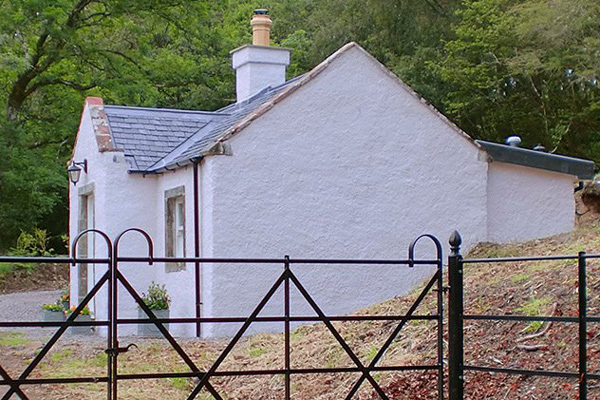 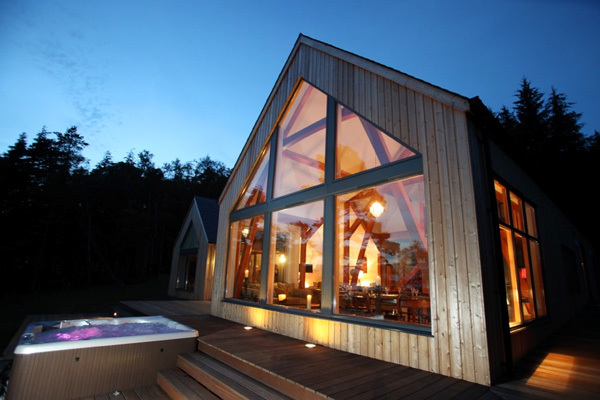 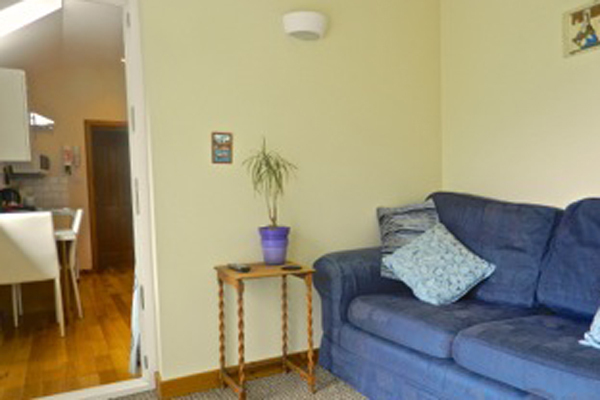 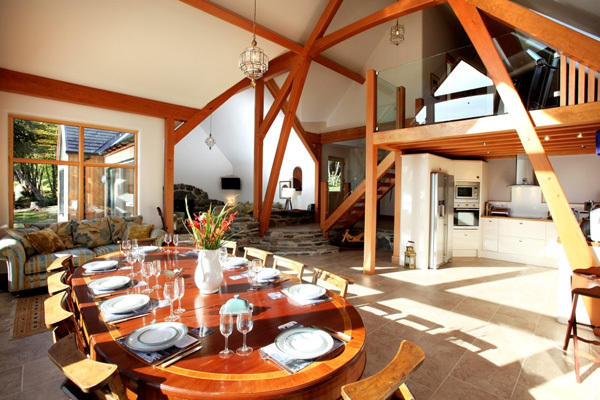 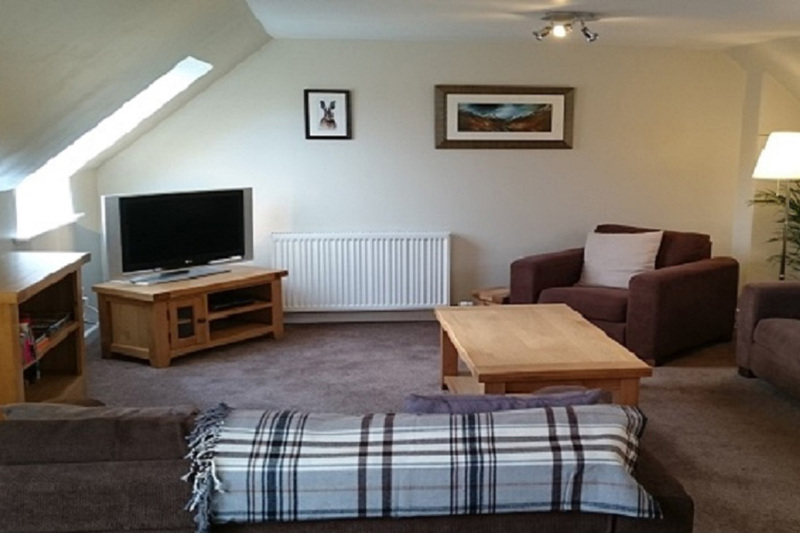 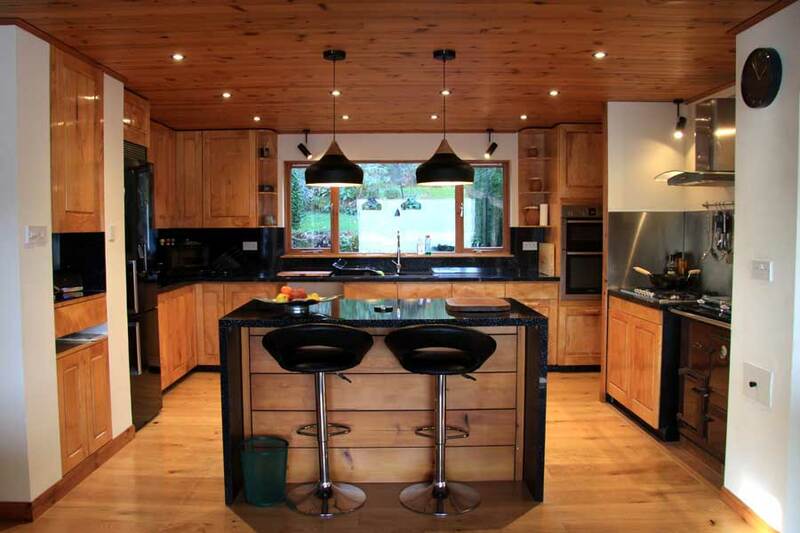 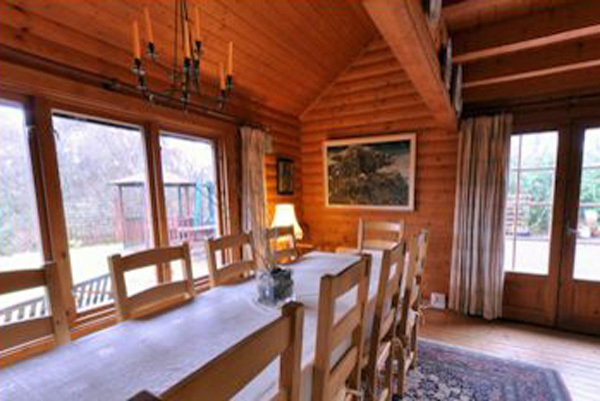 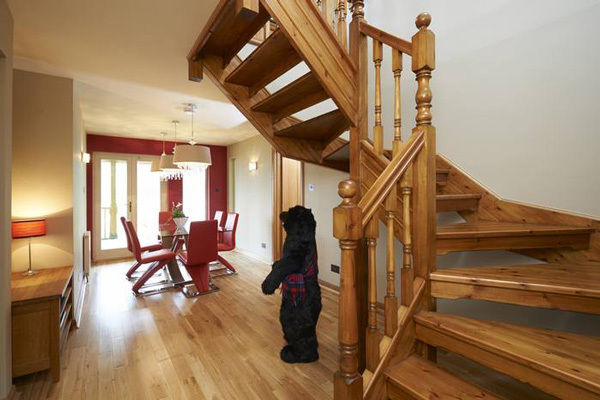 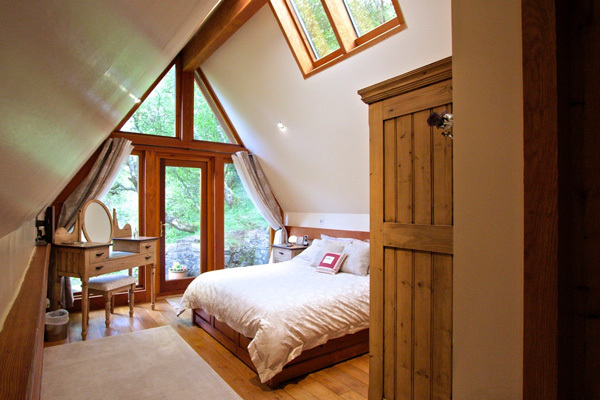 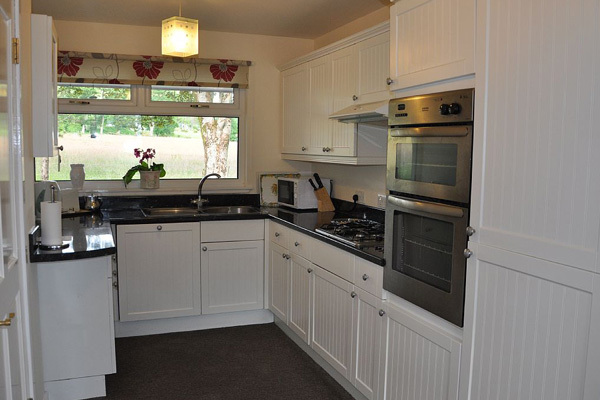 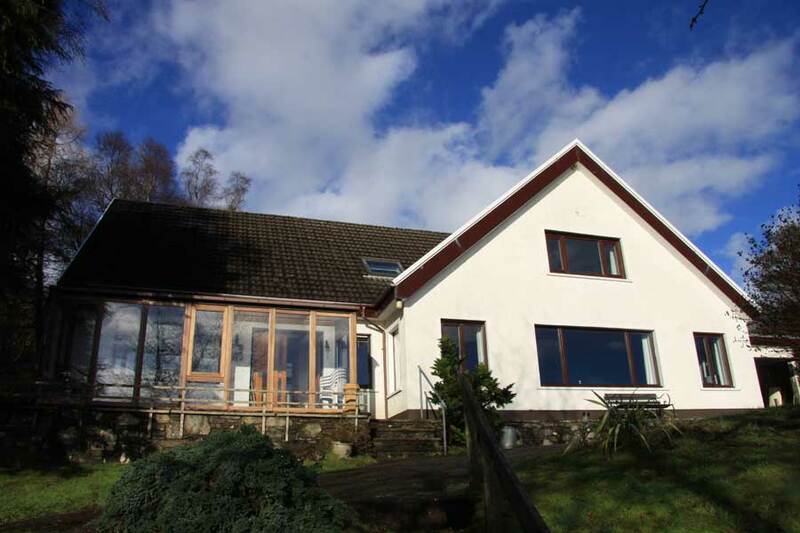 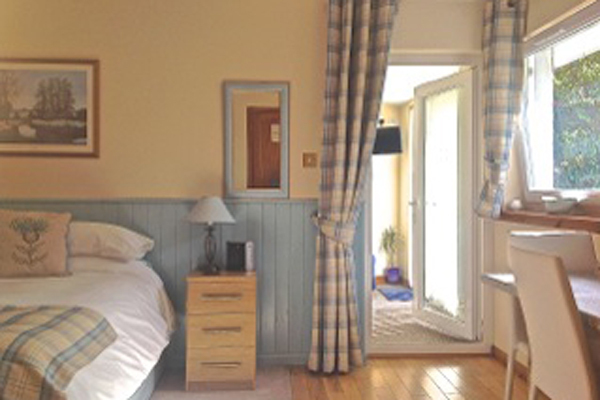 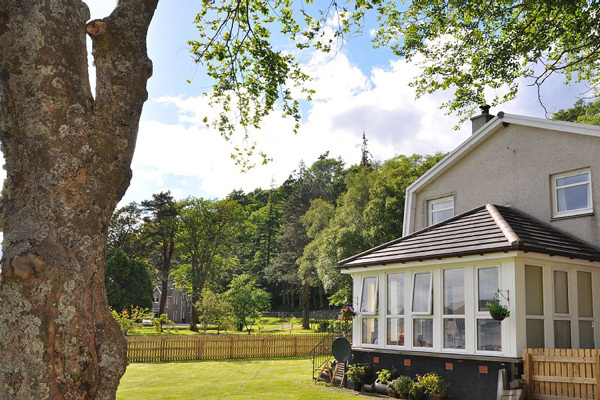 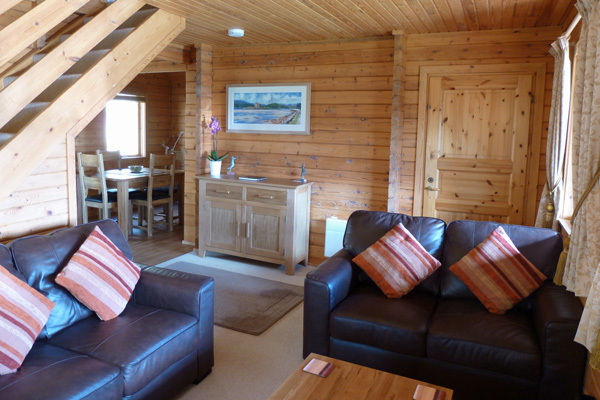 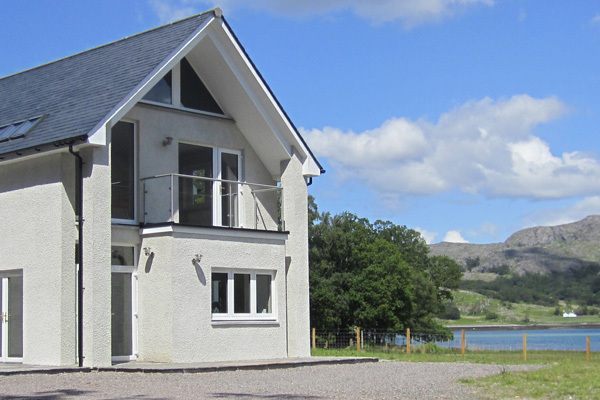 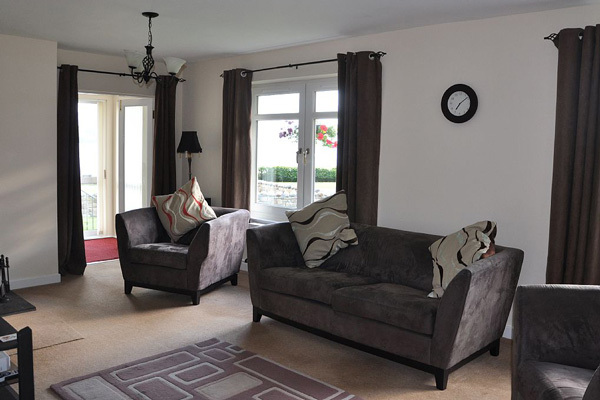 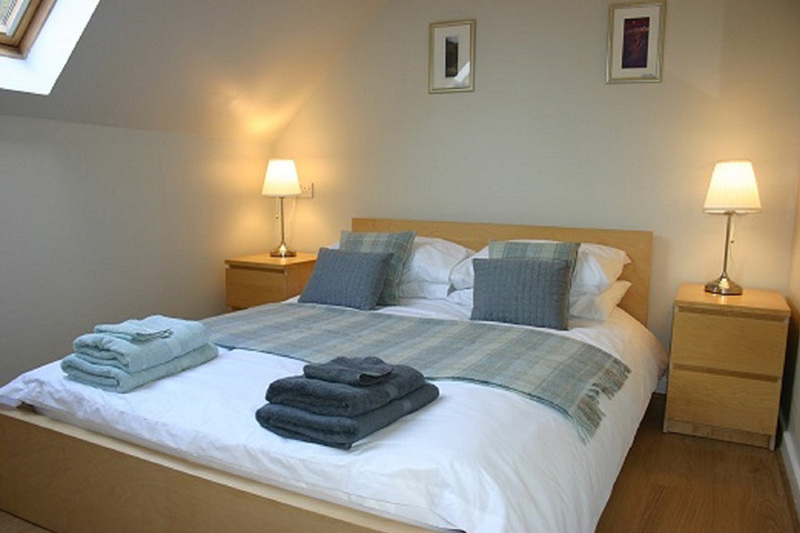 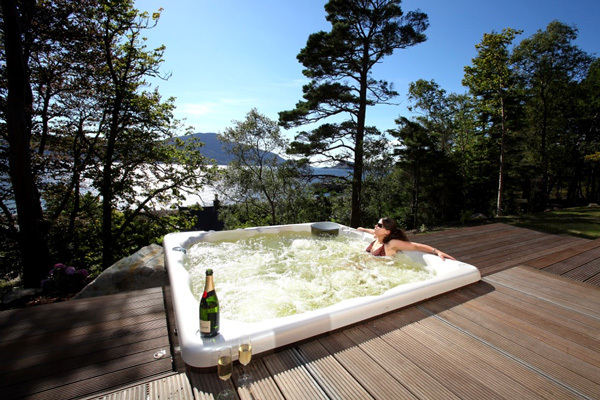 Skye Fall is a modern loch side house mid way between Spean Bridge and Fort Augustus on the shores of Loch Lochy. 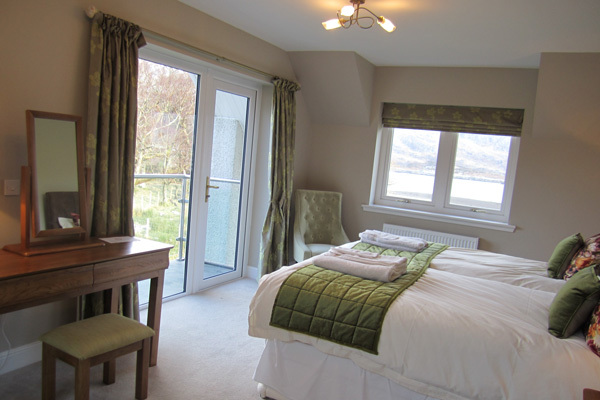 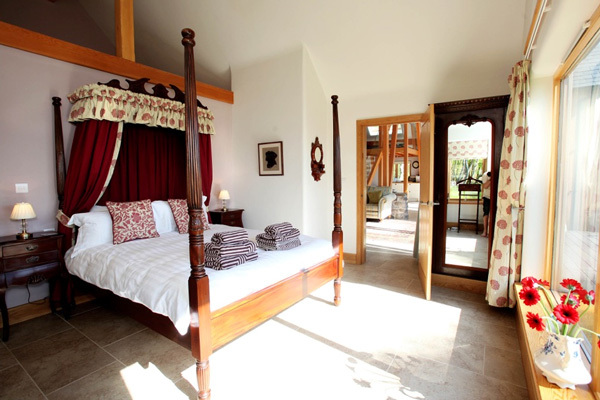 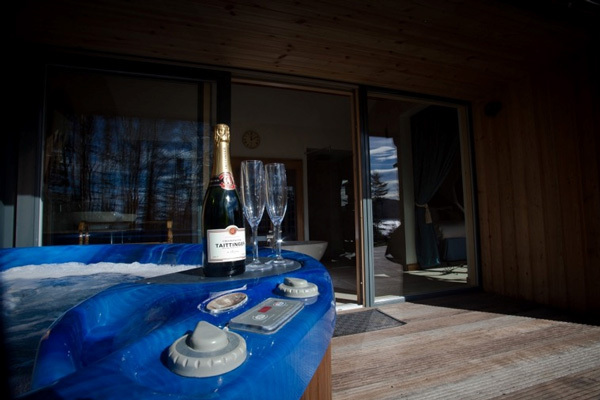 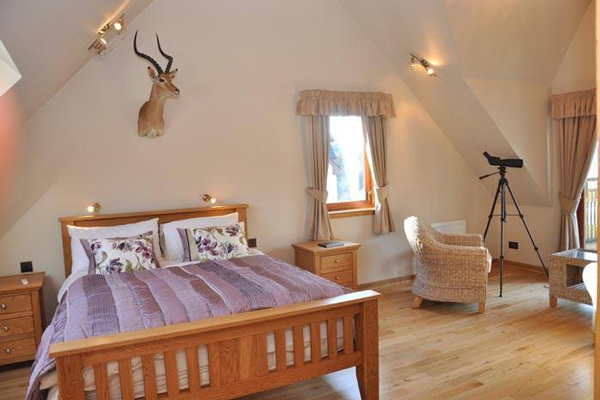 It sleeps six in three ensuite double bedrooms, each with loch views and access through french windows to a decking area over looking the loch. 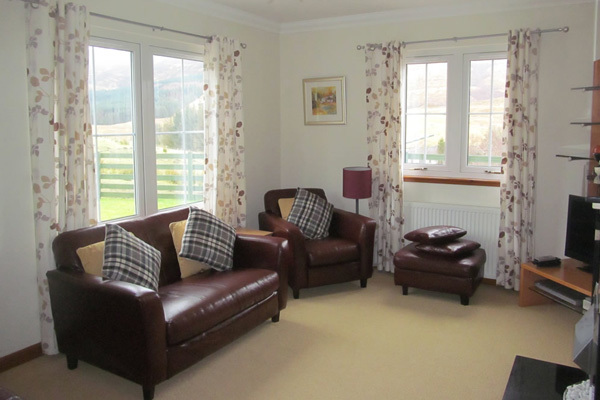 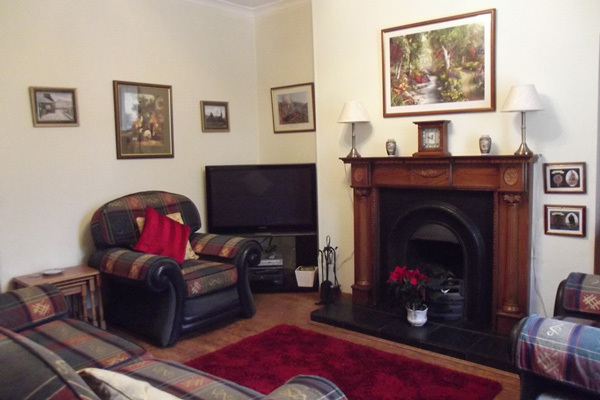 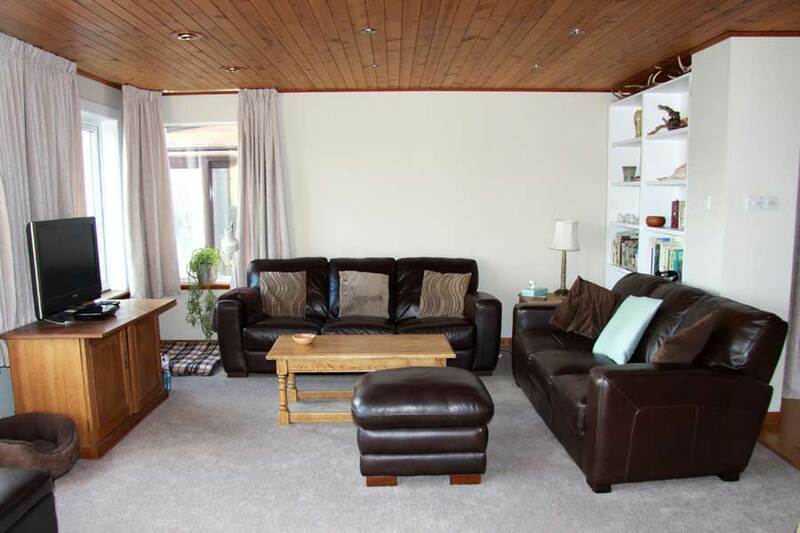 The open plan living area situated on the first floor enjoys stunning views over Loch Lochy and has a wood burning stove and large wall mounted TV with an enhanced audio system. 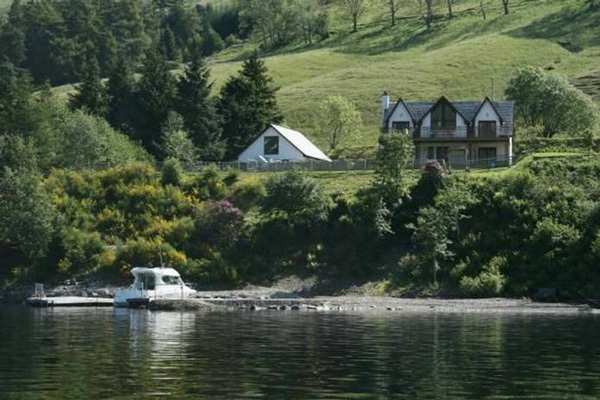 The property benefits from its own private jetty and beach area and is a great base to explore the Great Glen and Loch Ness to the North and Fort William and Lochaber to the South and West. 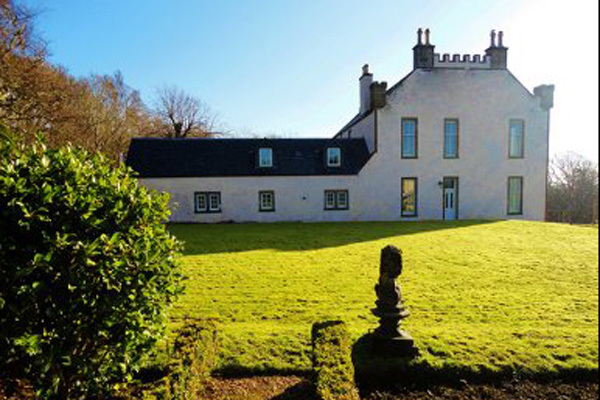 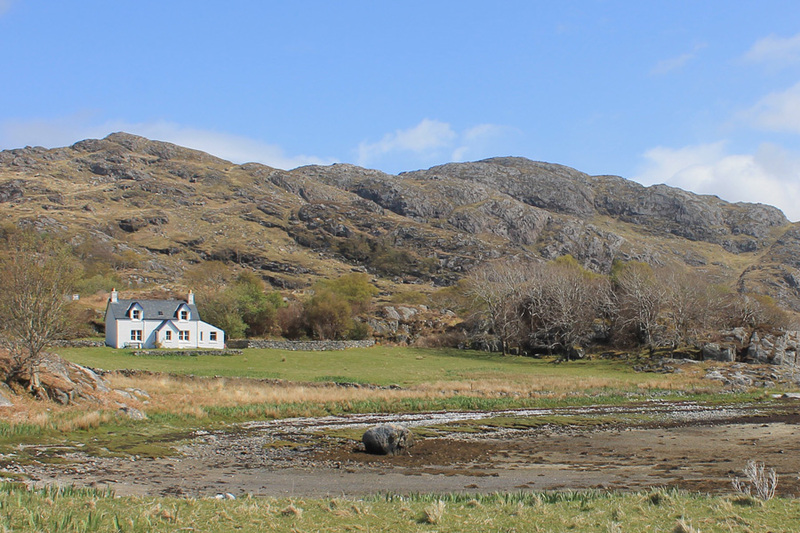 Ceithir Raithean is set in approx 2 acres of natural landscape, with a further 13 acres of rural landscape to explore behind the property. 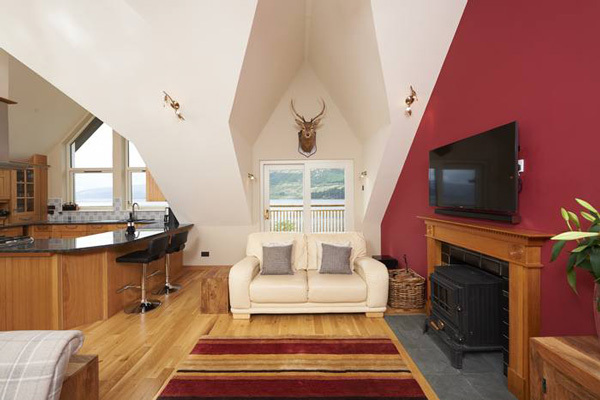 You will find quality, simple yet tasteful décor with solid oak floors, large walk around stone fire place in the lounge leading to the decking which is ideal for relaxing with a drink to watch the sun set over the sea in glorious shades of pinks red & orange. 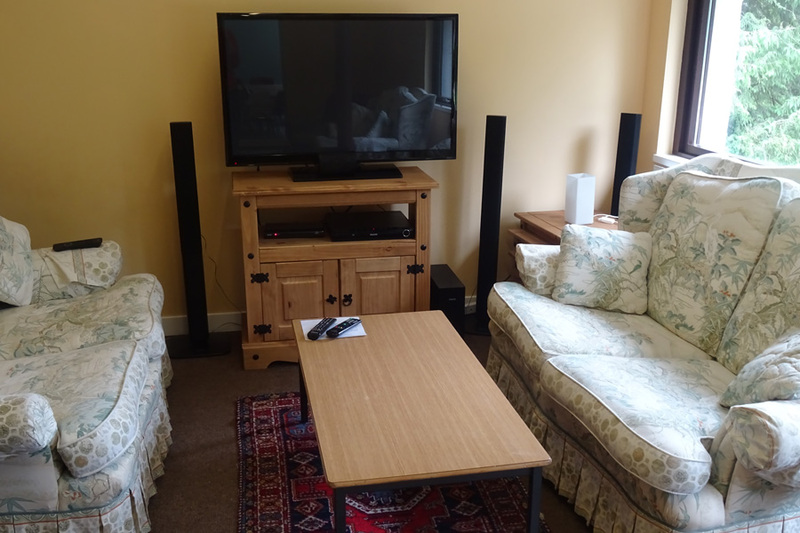 There is Sky + HD TV, DVD, Bose ipod docking station a PS3 and Wifi. 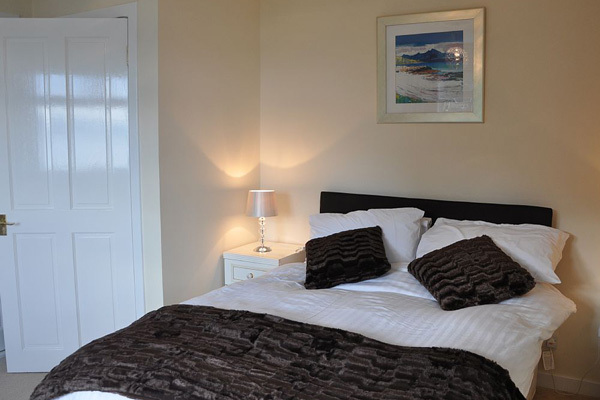 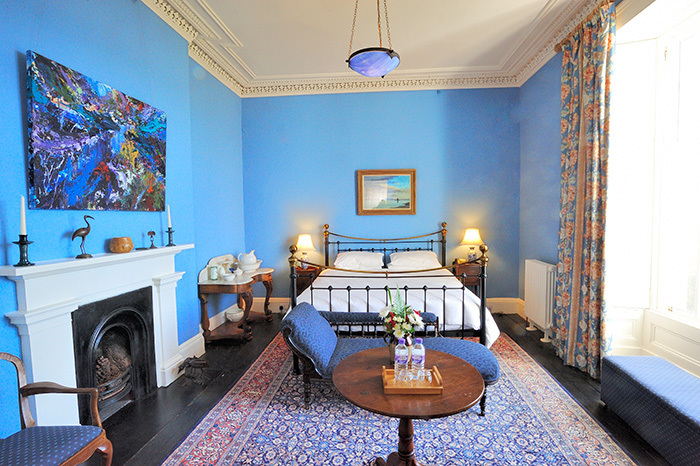 The two main bedroom's are also equipped with SKY TV. 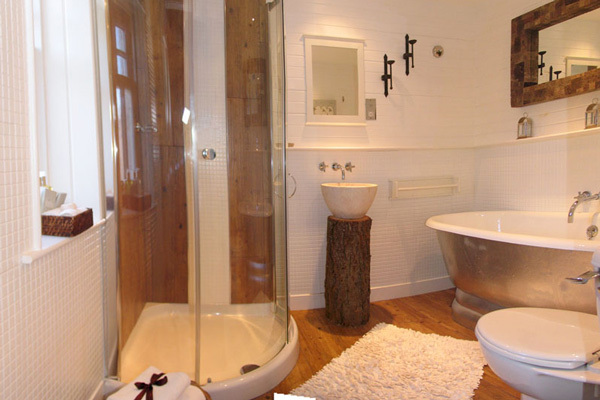 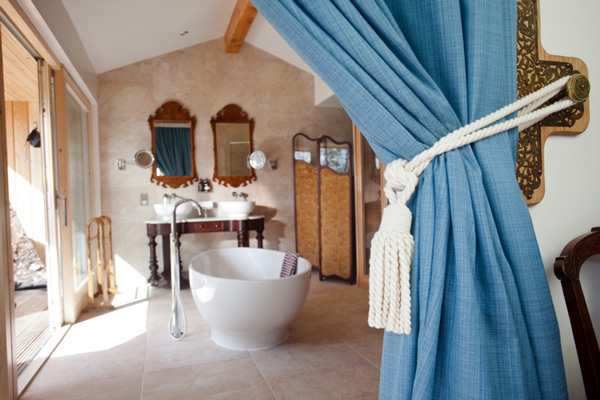 A luxurious bathroom with double jaccuzzi and 2 ensuite shower rooms. 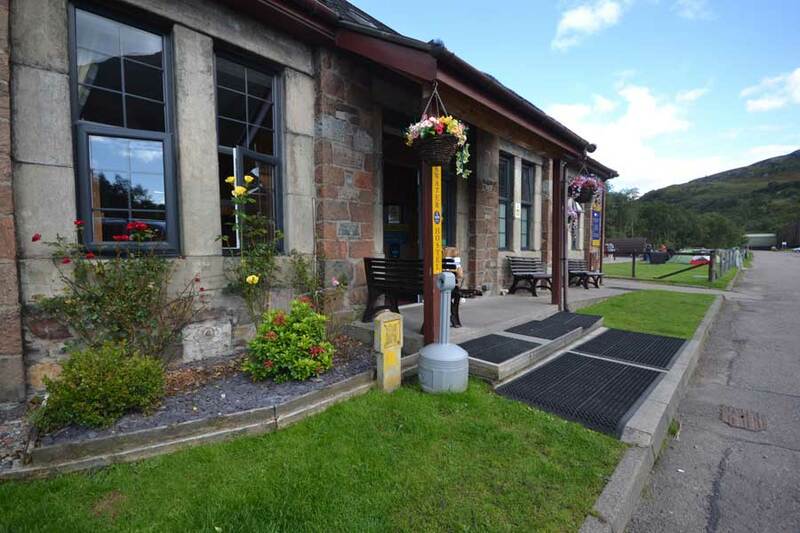 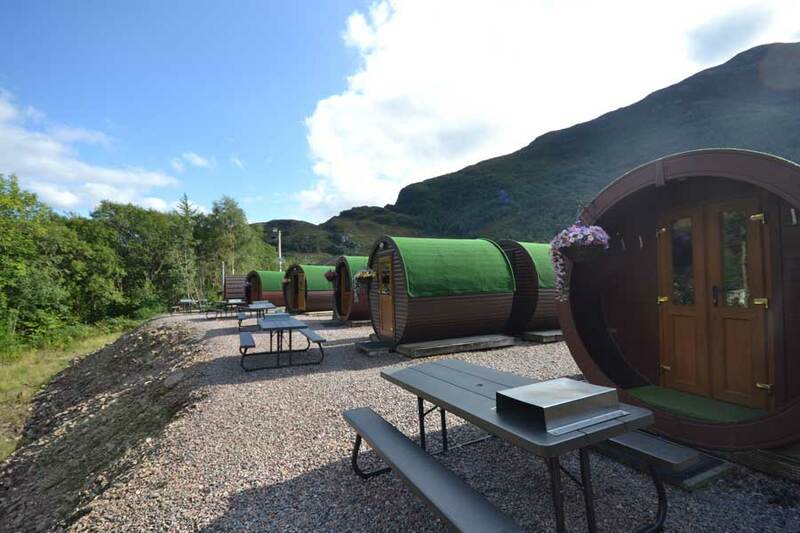 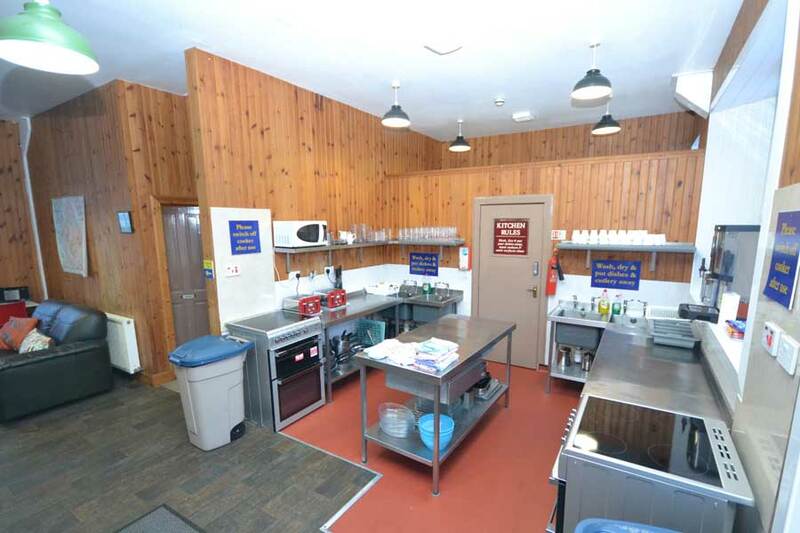 Blackwater Hostel, Glamping & Campsite offers good quality, budget accommodation for those touring the Highlands of Scotland. 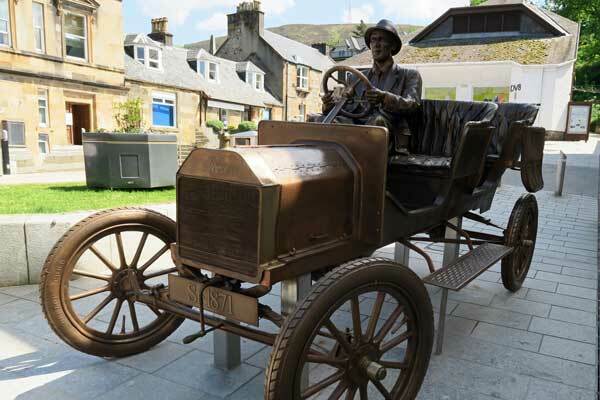 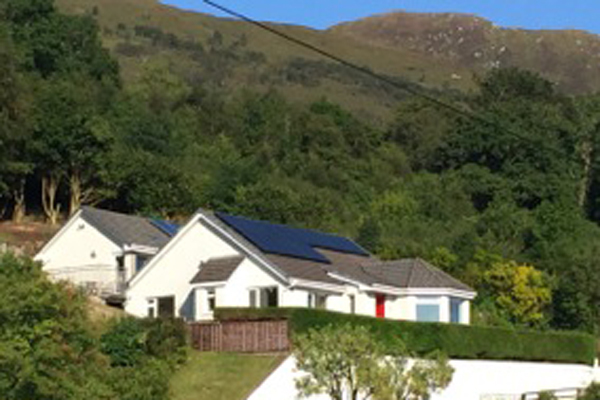 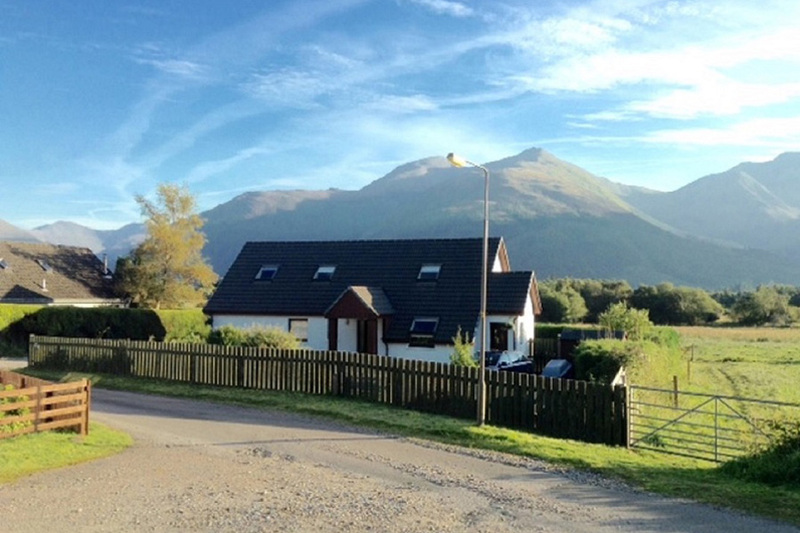 Based in the scenic village of Kinlochleven, we are surrounded by Mamores making us a popular stopover for those hillwalking, climbing or mountain biking or those completing The West Highland Way as we are located right on the trail. 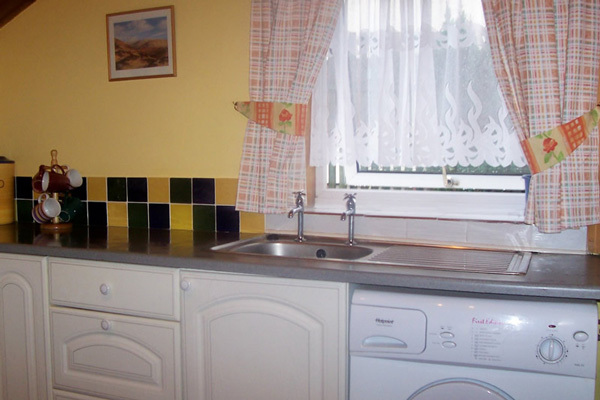 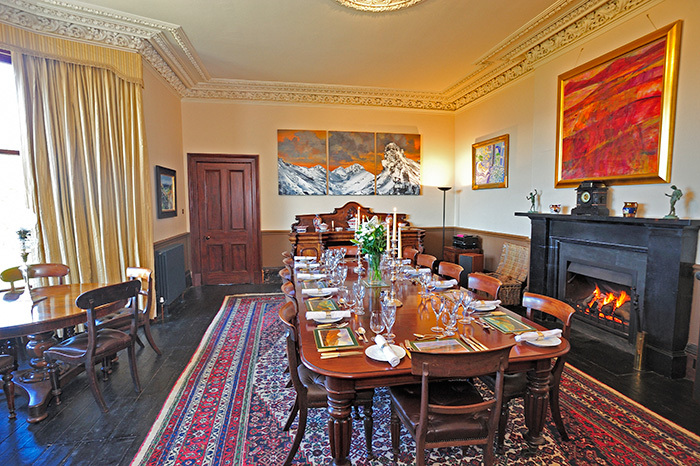 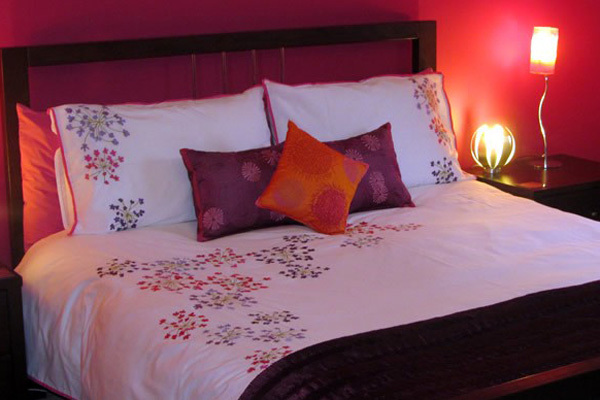 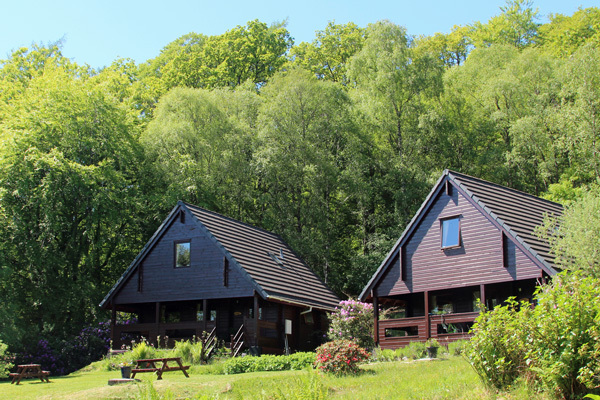 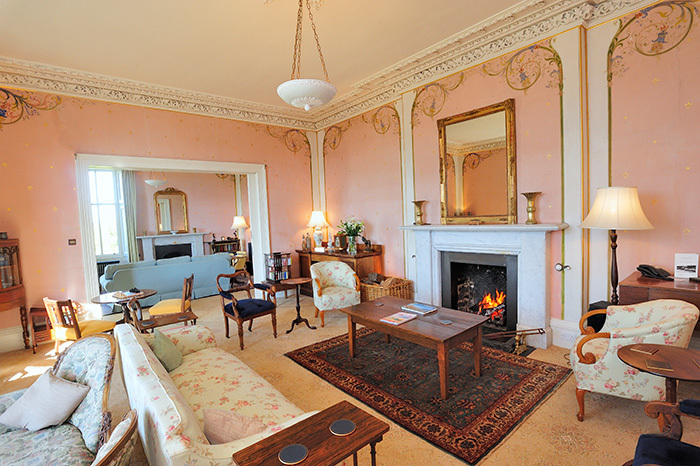 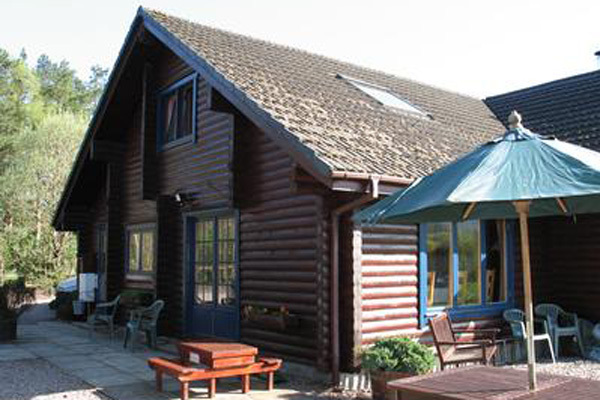 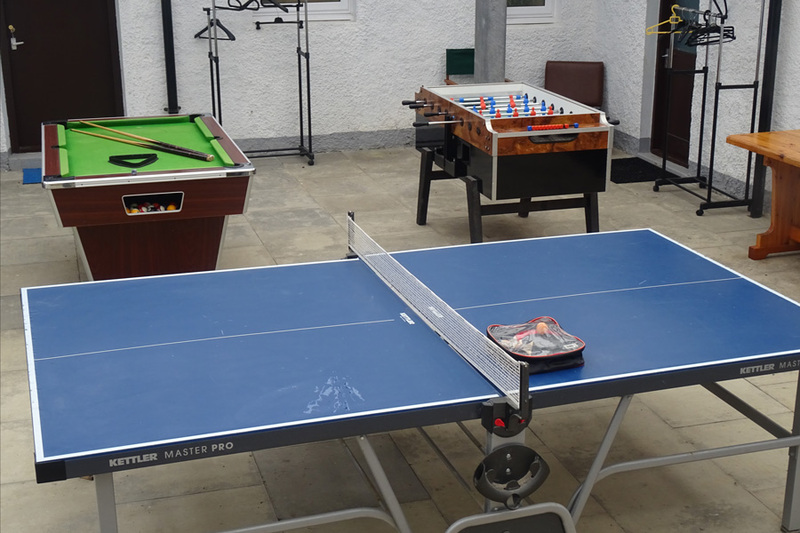 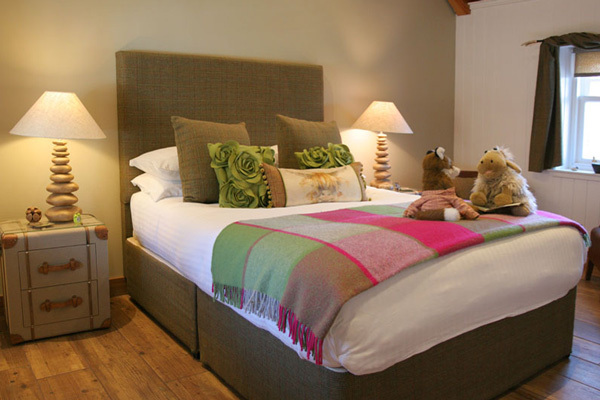 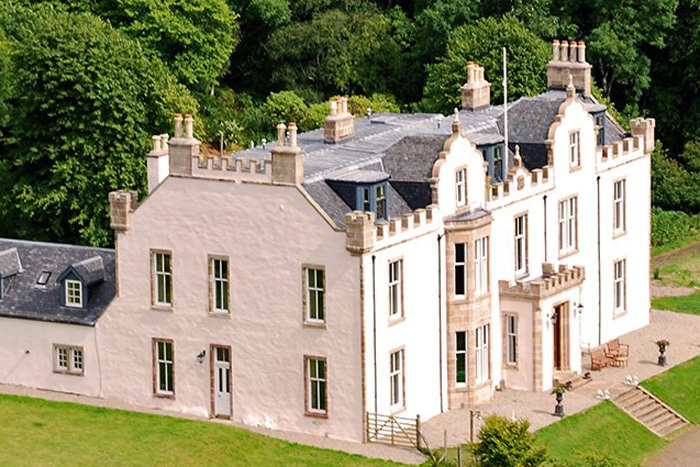 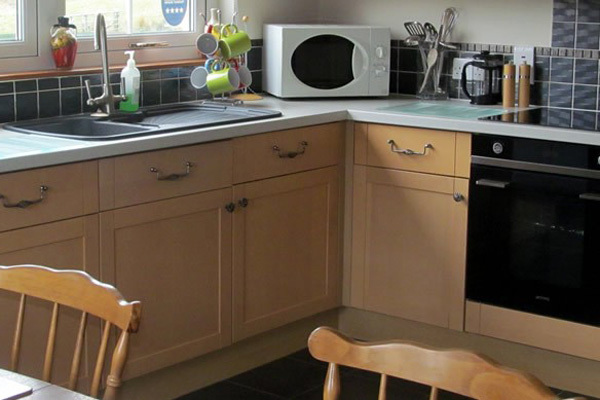 Established since 1999 we now provide a varied range of accommodation for groups both large and small. 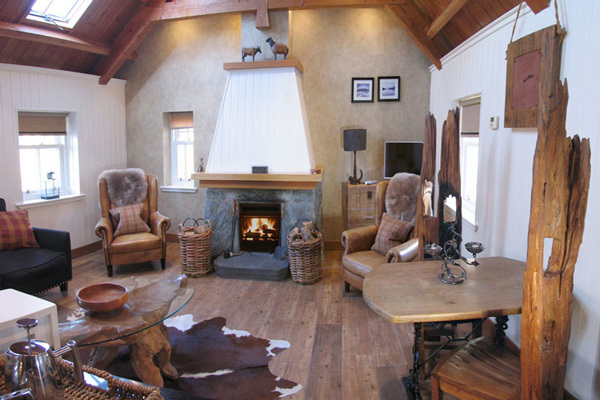 Lounge with wood burner. 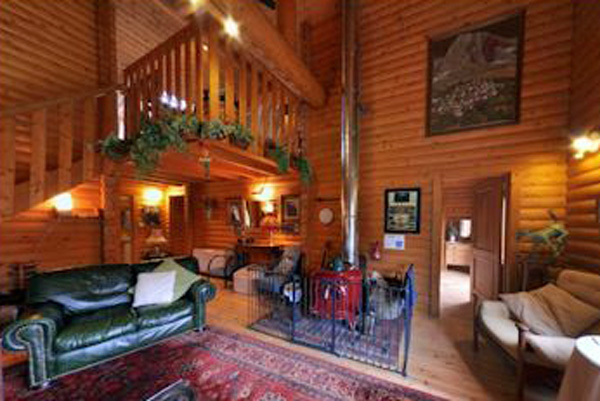 Unlimited logs included. 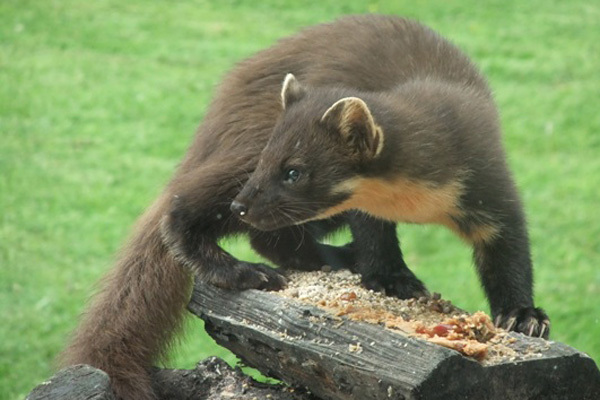 Pine marten feeding table just outside the window. 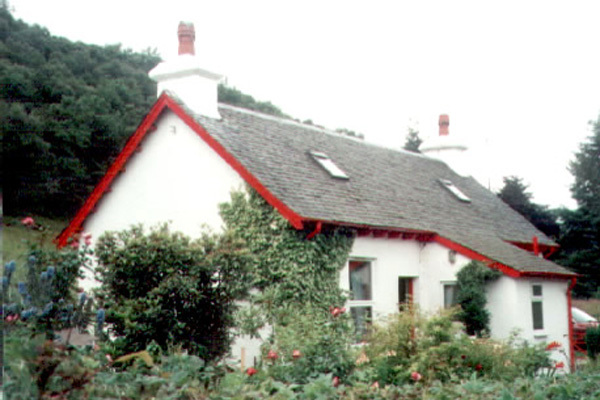 Red deer often visit the garden. 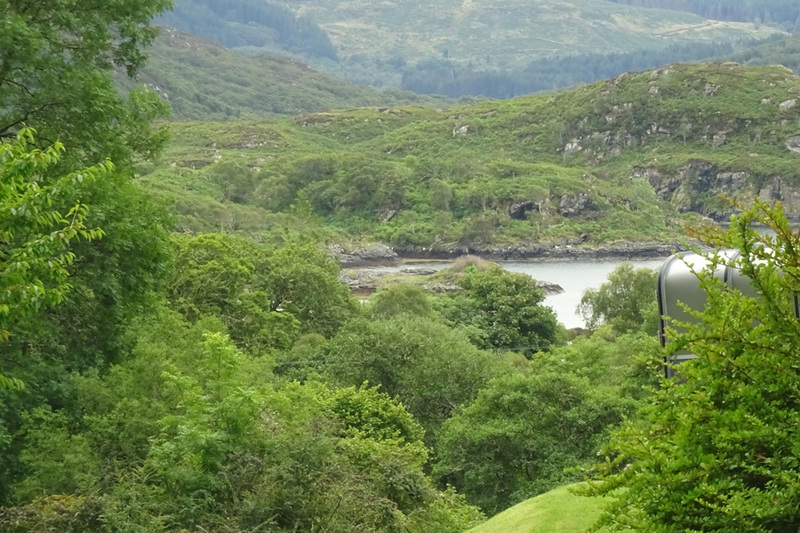 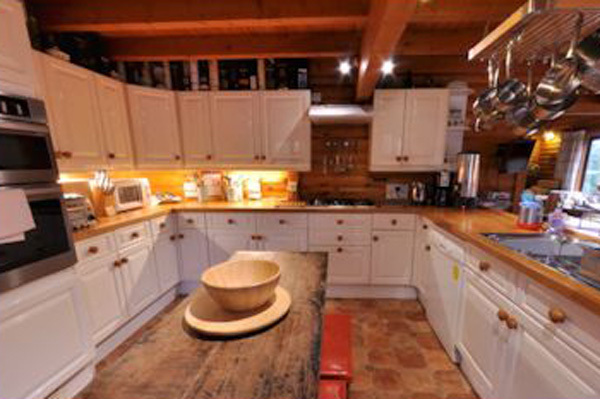 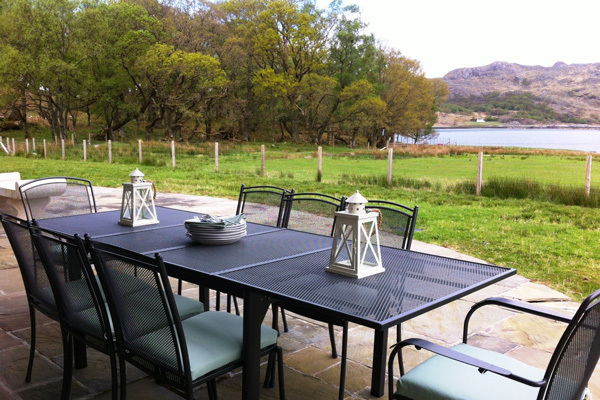 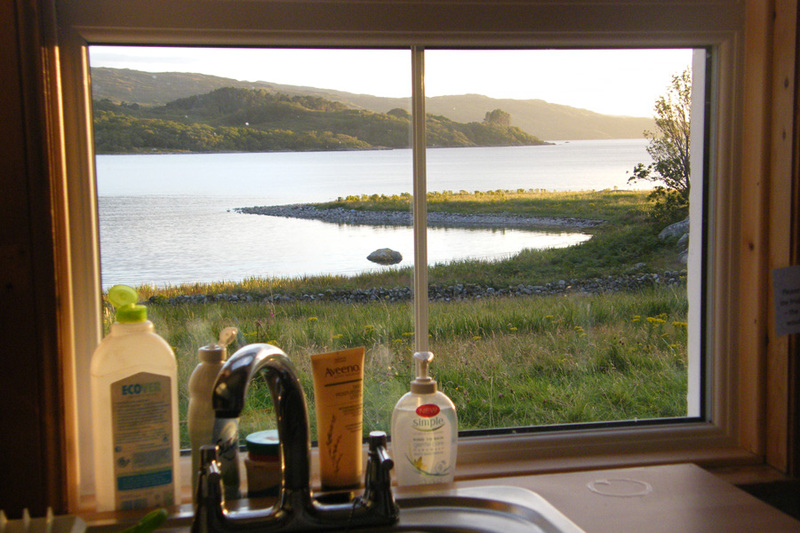 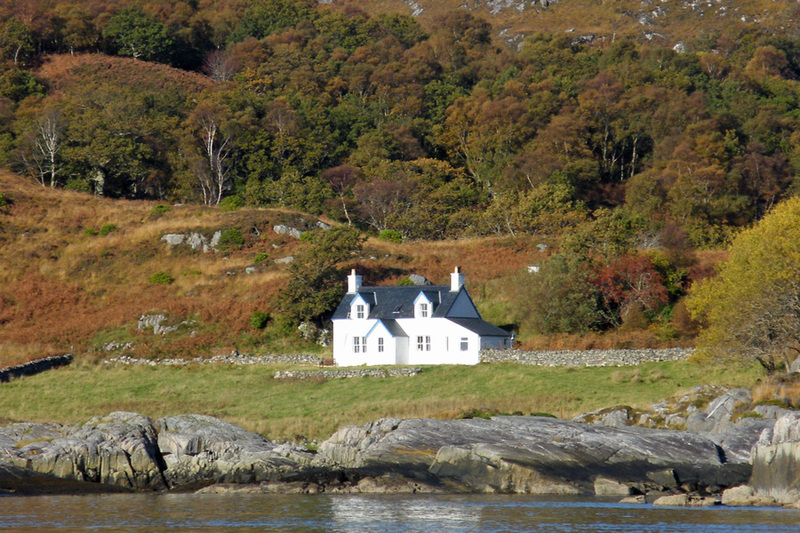 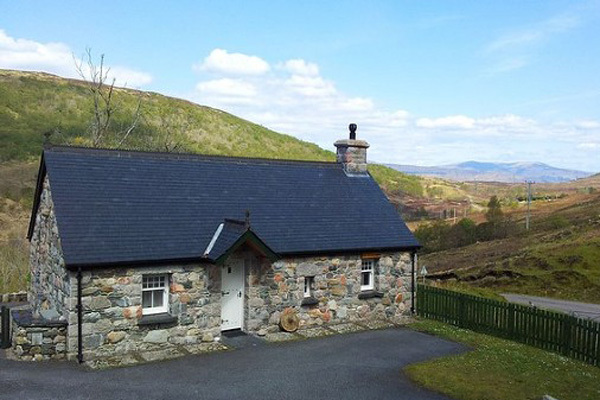 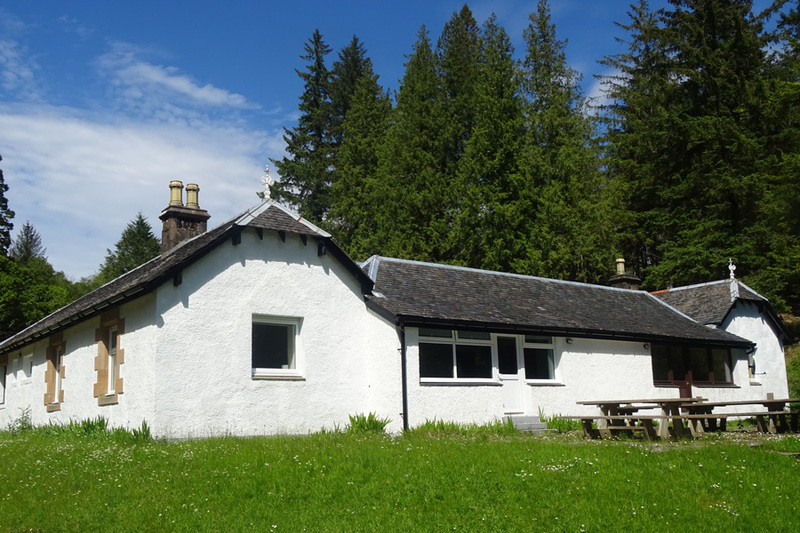 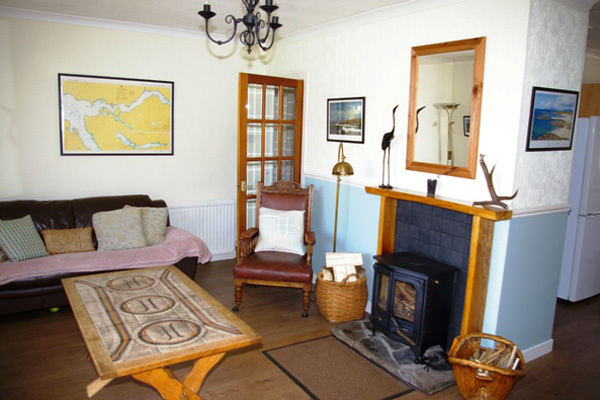 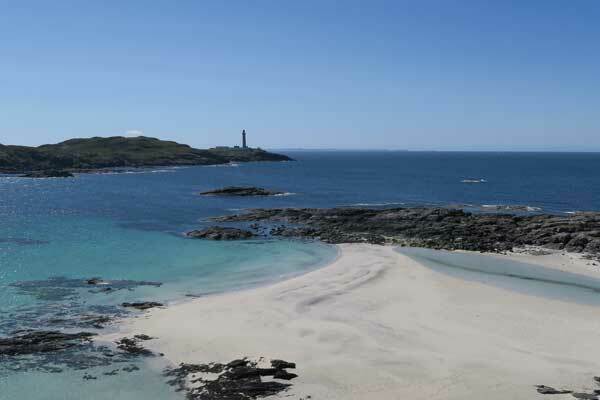 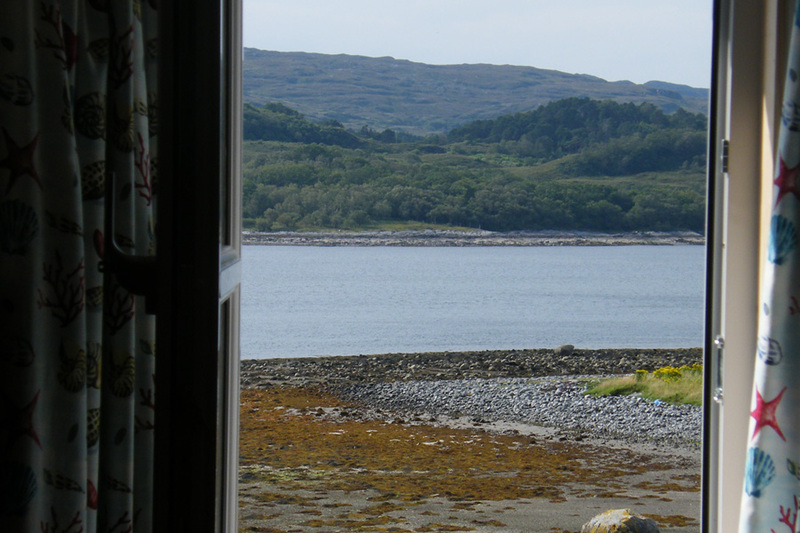 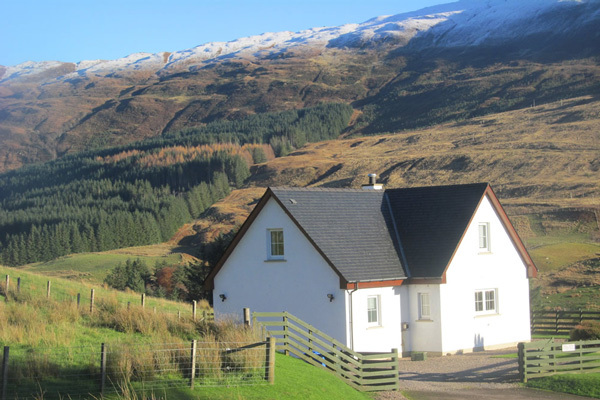 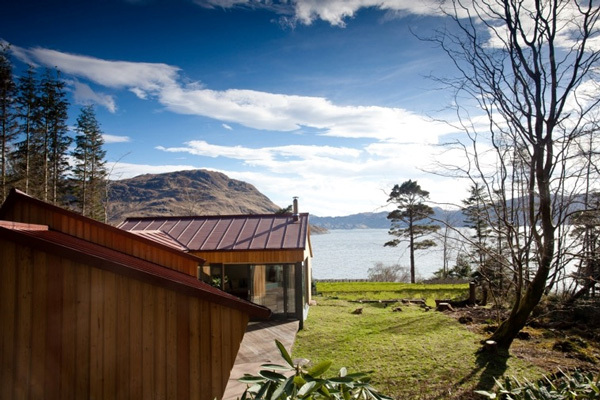 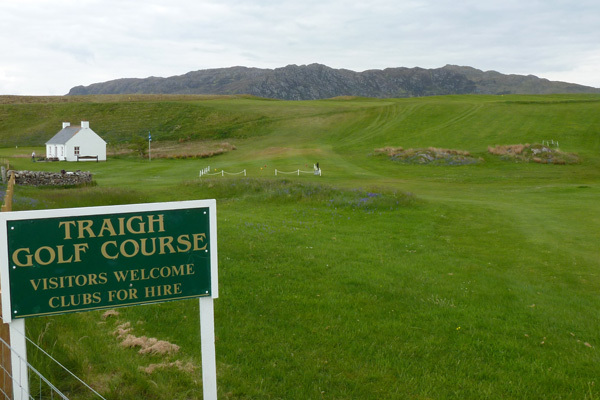 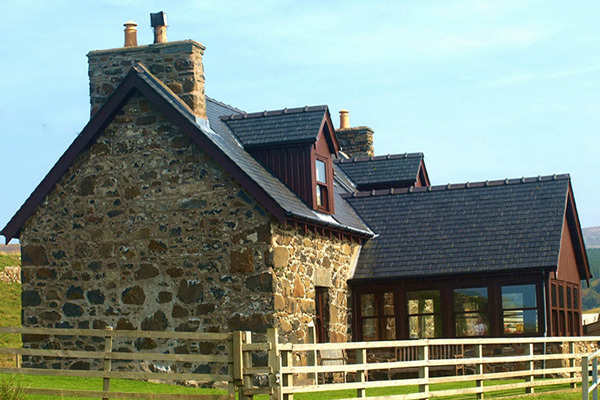 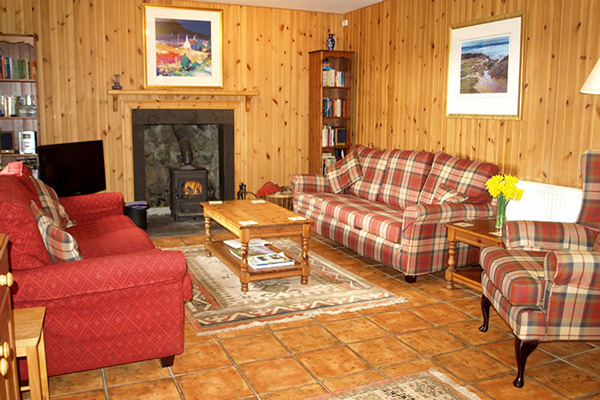 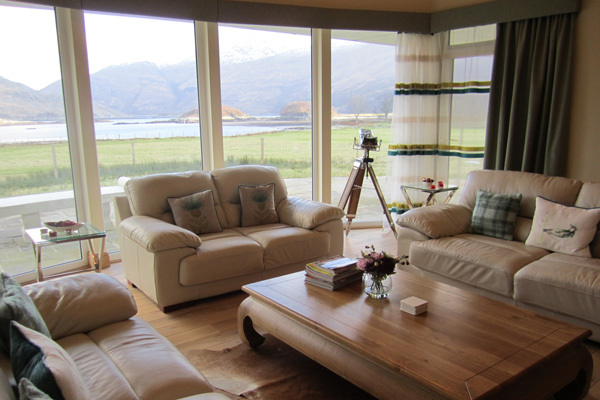 Loch View Cottage is located outside the village of Glenborrodale on the Ardnamurchan Peninsula. 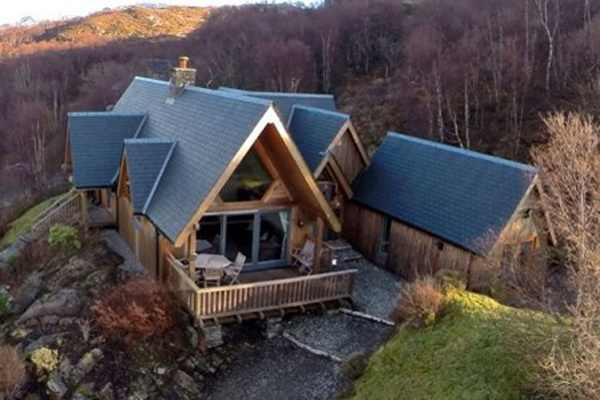 It lies a few yards from the shore of beautiful Loch Sunart and is home to a host of wildlife including red deer, pine martens, seals and eagles. 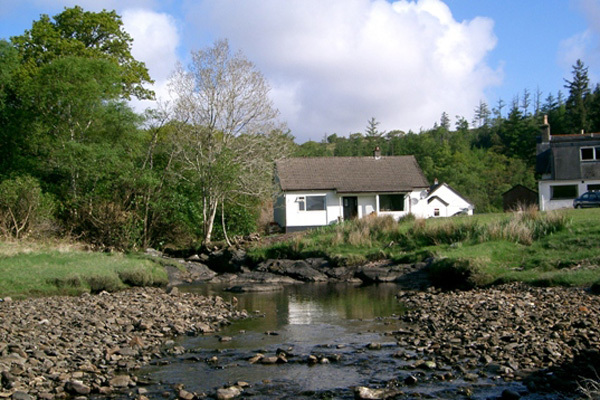 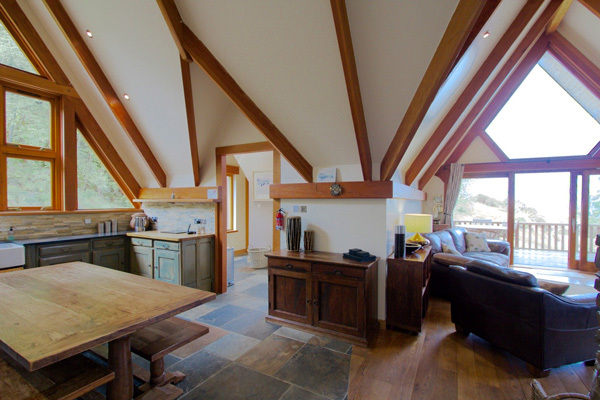 The Cottage is set back from the single track road and is accessed by a wooden bridge.&nbsp; The centrally heated accommodation comprises a large comfortable lounge with wood-burning stove and satellite TV, well equipped kitchen and three bedrooms sleeping a maximum of 6 adults. 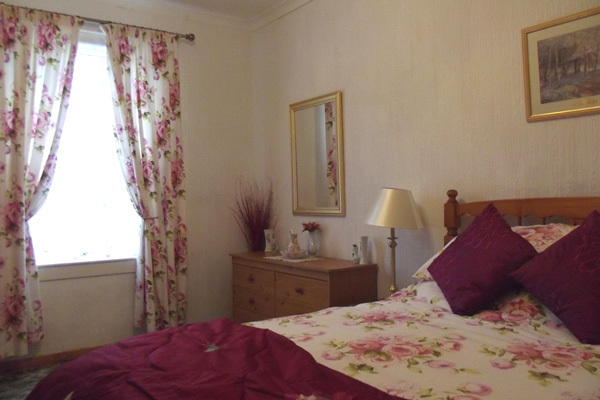 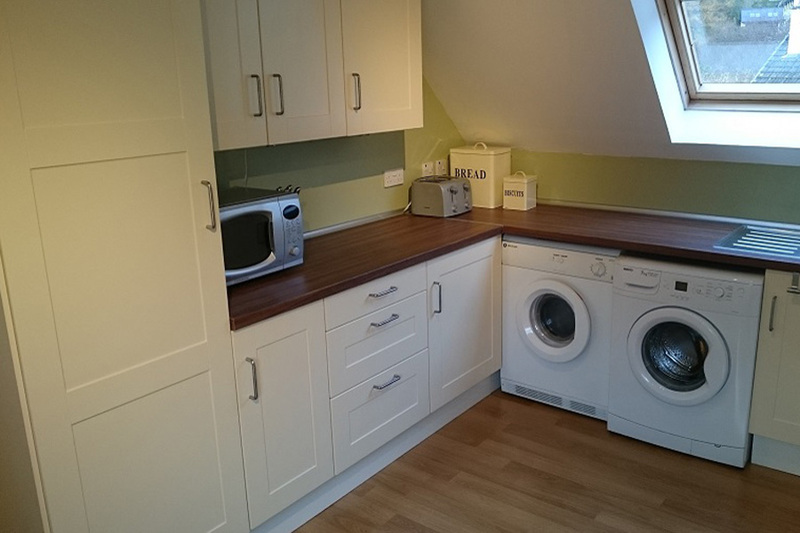 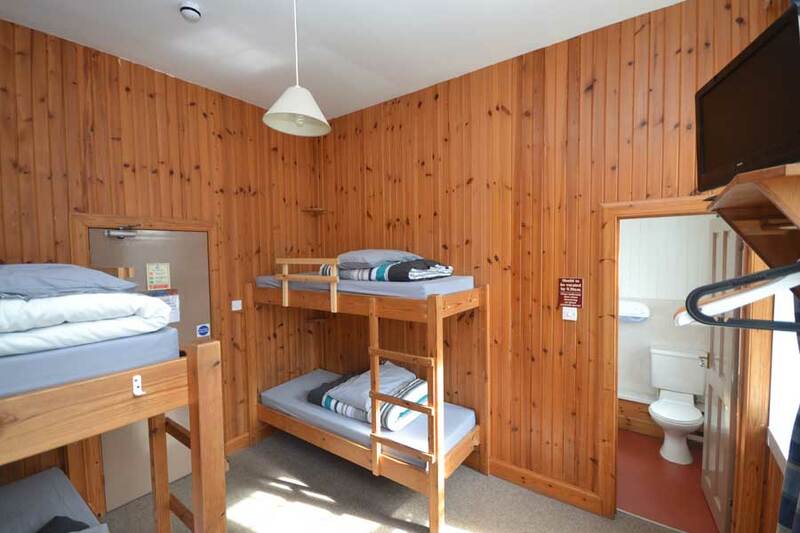 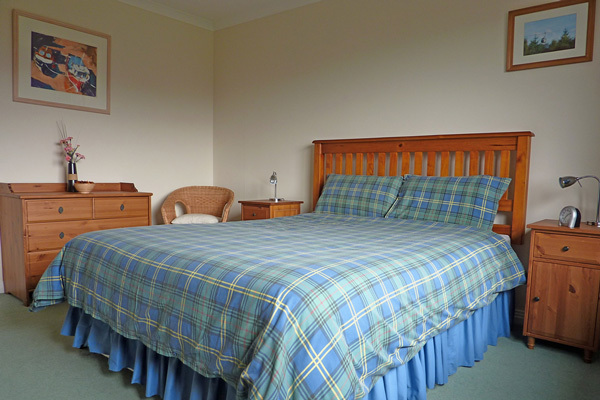 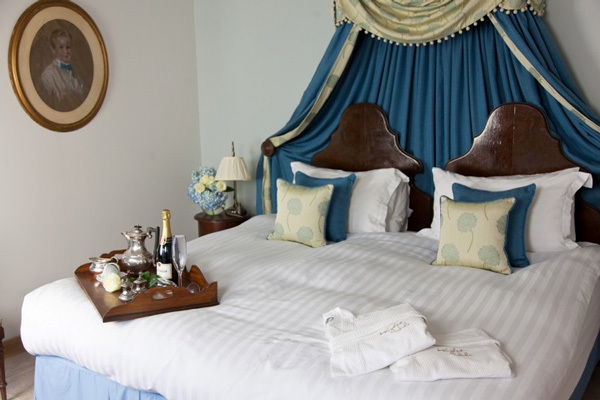 There is an extra single bed in one double bedroom. 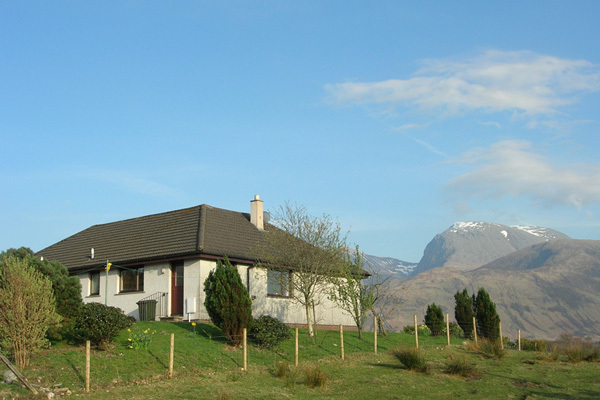 There is free wireless Broadband and pay telephone if required.